Spring has finally arrived in the Peak District! To celebrate the warmer weather, our chef Darren Goodwin has been adding some new dishes to our a la carte menu to mirror the freshness of Spring. This includes plenty of lighter fish courses (sourced from local markets and fishmongers) which complement the weather perfectly. Take a look at some of the latest additions below... Simply click the images to enlarge. 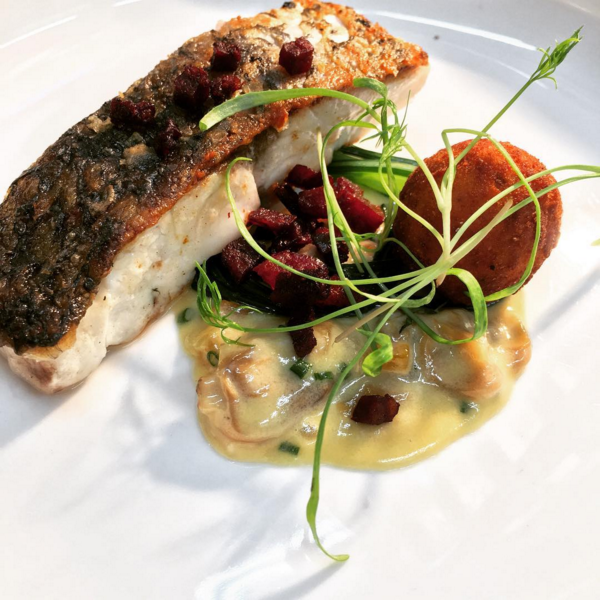 Stone bass, clam sauce, chorizo. Hake, sorrel & hake foam, cauliflower 'risotto' BBQ baby gem. 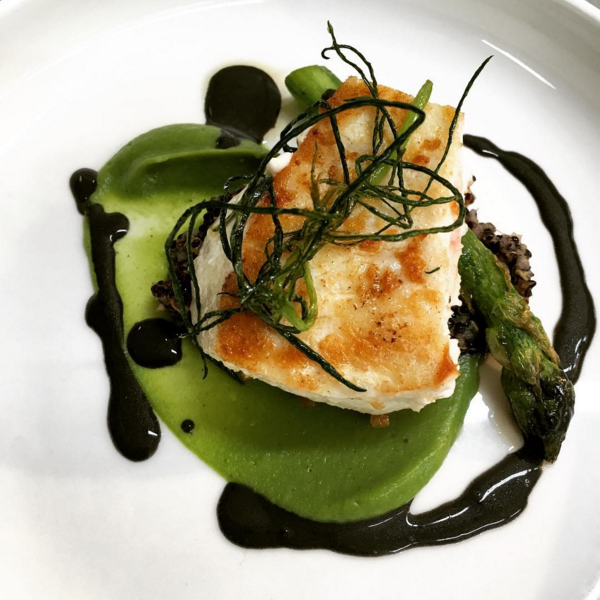 Halibut, broccoli, asparagus, shrimps and quinoa, nero sauce, crispy monks beard.